R & R Roofing is capable of carefully installing and repairing siding and windows. We also perform basement refinishing to add comfort to your home and increase your property value. Customer service is critical to R & R Roofing; we value our clients and go to great lengths to exact the job in a timely and professional manner. Please review our services and let us know how we can help you further. R & R Roofing brings unrivaled professionalism and expertise to every exterior and interior construction project. 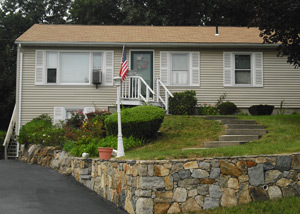 From siding installation to basement refinishing, we're able to enhance the appearance and efficiency of your home. Be sure to Contact Us to learn more about R & R Roofing and all of our services.